Instore Magazine featured Gottlieb & Sons’ Convertibles in their new section called Opening Lines. 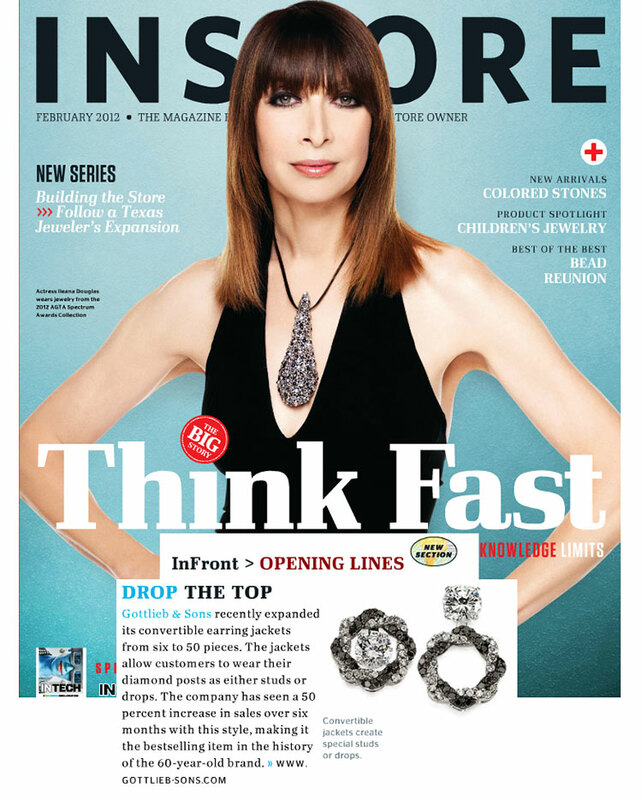 Keep up with Instore for all the latest industry news. Thank you, Instore! Roses Are Red, Violets Are Blue, How Will You Ask Her To Marry You? Thinking of proposing on the ultimate romance day of the year? Make February 14th unforgettable for her. “Place roses and rose petals around the room and light candles everywhere. Create a CD of romantic music and have it playing when she comes home. Invite her to dance with you and spend the evening whispering sweet nothings in her ear as you dance. Have the last song be Martina McBride's 'Valentine' and as it ends, get down on one knee and propose.” This is just one marriage proposal idea out of many that are listed on RomanceStuck.com.